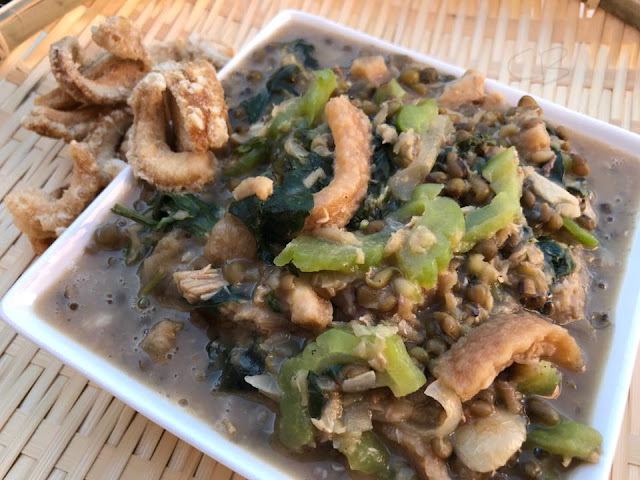 Ginisang Monggo with Ampalaya and Chicharon is my favorite Monggo recipe. Simple recipe yet flavorful. 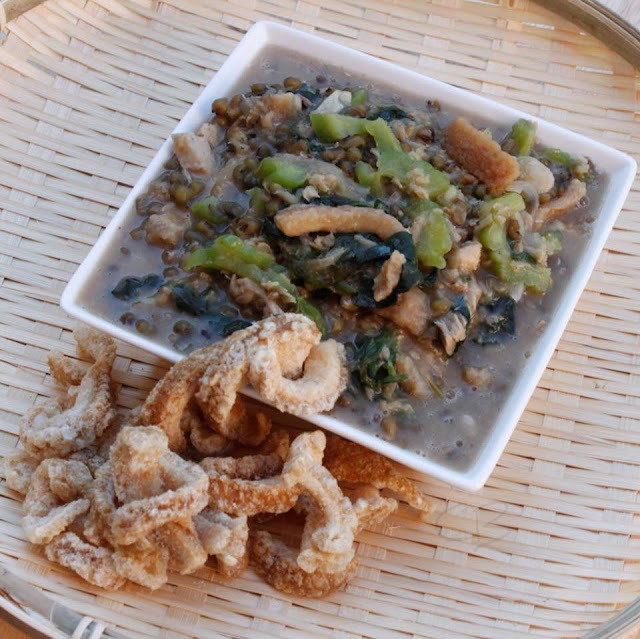 The Monggo is sautéed in garlic and onions then topped with ampalaya, chicharon plus some dahon sili. So good, I can finish 2 cups of this in one seating over steam rice. Bring water into a boil, once water starts to boil add mung beans and lower heat. Continue to cook until beans are fully cooked. Add more water if needed. Set aside. Saute garlic and onion in cooking oil until light brown. Add bagoong and stir. Cook for few minutes in low heat. Add boiled monggo beans to the sautéed bagoong and stir well Bring to a quick boil and season with fish sauce. Continue cooking for 2 minutes. Add chicharon and cook for few minutes in low heat. Season with salt and ground pepper to taste. Remove pot from heat and serve hot with a side of fish sauce and steam rice. Enjoy.